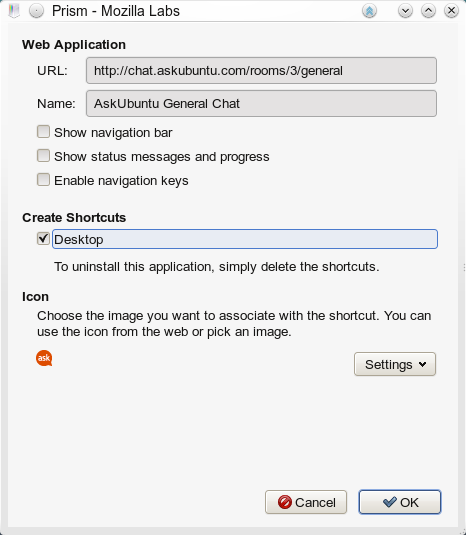 How can I place an icon on my desktop to directly open Ask Ubuntu's chat? Google Chrome supports "web applications" which run in a dedicated browser window: no bookmark bar, tabs, and less UI in general. 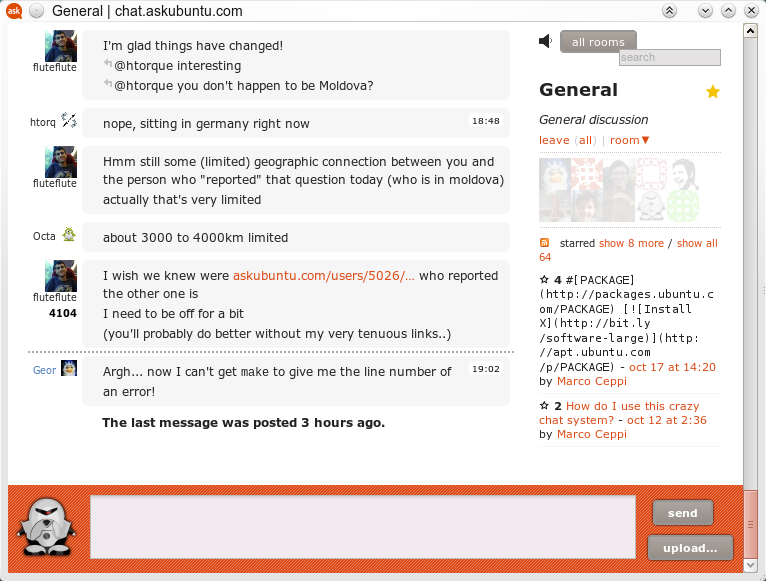 These are useful for dedicated windows such as web-based email, feeds, and now Ask Ubuntu chat. In particular for chat, new links open in a different browser window if you middle-click or otherwise select "open in new tab/window"; this keeps the chat window visible and handy. The launcher name can be customized either in the file ("Name" entry) or on the desktop, and the URL can be whatever landing page on chat you find most useful. 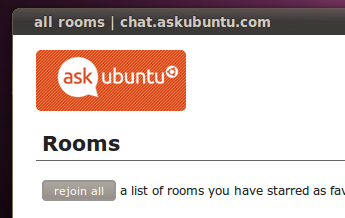 I like the room favorites because I can see any recent activity or use "rejoin all". You can create your chat app by launching Prism from the Internet menu, or directly from Firefox via Prism extension. If you are using the extension, visit the chat you want or the main chat page, then click "Tools >> Convert Web Site to Application" in Firefox menu.